You are using an outdated browser. Please upgrade chrome to improve your experience. MIMICS EProxy Software provides online proxy materials and voting capabilities for your shareholders. The site can be hosted by MIMICS or any other web host. The site allows anyone to download the materials that are uploaded by the company. In compliance with SEC regulations, the MIMICS site does not require installation of cookies and it does not track or collect information about the visitors to the site. Proxy information on the site can be downloaded directly; can be emailed; or can be mailed. Optional features are available for registered shareholders to log in to vote. Votes are then tabulated by the system. The site allows you, through a secure interface, to upload proxy materials for your shareholders. Any materials can be uploaded in pdf, html, or any other form. Alternatively, MIMICS can upload the materials for you. Anyone visiting the site, according to SEC regulations, can download the proxy information without being tracked. The system does not install cookies and does not in any other way track the site visitor. The proxy information that is made available can be downloaded to a user-directed location on their computer. The user, instead of, or in addition to downloading, can have the proxy information emailed. All that is required is for the site visitor to enter their email address and to check the material they want to have emailed. The system emails the visitor's email address without tracking the address. The site visitors can elect to have proxy material mailed to them. In this case, they must enter a name and mailing address. This information is emailed to you for your processing. The visitor can also elect to have the information always emailed or mailed. In this case the instructions are sent to you. If you do not want to have emails sent to you regarding the processing of the proxy material that is not done anonymously by the visitor, you can elect to have the system build a database of the information and associated tickler to allow you to process the proxy materials in the future without needing a manual interface. The system will build a mailing list and will print mailing labels and/or envelopes for the proxy material to be mailed. It will also create an email list and can broadcast the information automatically. Another optional feature is for your corporation to add the ballot to the website. After the ballot has been added, and after the specified time, shareholders are allowed to log on to the site in order to cast their vote. The voting site is secure and all shareholders are given passwords with the ability to change them. The validity of their login is verified and, when verified, the shareholders are allowed to cast their vote. The system can either provide the vote per shareholder to you or, if you enter the number of shares, the system can tabulate the vote, providing detailed reports and a precise audit trail. If you have the MIMICS Shareholder Accounting System, the number of shares of record are already known and the tabulation can proceed without intervention. The MIMICS Shareholder Accounting System, that interfaces seamlessly with the MIMICS EProxy System, provides comprehensive Paying Agent, Transfer Agent, and Registrar features for stock (both common and preferred) as well as for other derivatives such as rights and warrants. For more information please contact us. The MIMICS EProxy System can handle your proxy needs and provides a seamless interface with the complete registrar, paying agent, and transfer agent features. If you would like more information about our products and services, please fill out our online request form. You deserve better financial software. We have been thoughtfully crafting intuitive, easy-to-use software for decades to give you more of what you want, less of what you don’t. Software should not be one-size-fits-all. We take the time to get to know what makes you you, so that we can customize our software to offer a product that is exactly to your specifications and intuitively easy to use. Our software does much of the “heavy lifting” of calculating, processing and automating to help greatly boost your productivity, streamline workflow operations and get you moving at optimal efficiency. Beyond the labor you will save with the wide-ranging functionality our software provides, our customizations give you more of what you want for a lower price than our competition. We respect the sensitive nature of your information. That’s why we offer industry-exceeding security, including fully-encrypted databases and data tokenization. We truly pride ourselves on our friendly, responsive customer support, day or night. We love our customers and strive for 100% client satisfaction. But don’t take our word for it; read what our actual users say. Sorry- it looks like the news is currently unavailable. MIMICS recently traveled on-site to do some work for our long-time client, The Central Bank of The Bahamas (CBOB). Google has been fined 50 million Euros ($57 million USD) by the French data regulator CNIL for violating data protection rules mandated by the EU’s General Data Protection Regulation. Blog: How Long Will Economy Boom? Does Bitcoin Deserve Such a Bad Rap? 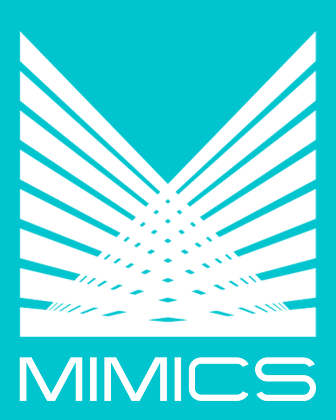 We are very happy with the MIMICS product that we are currently using. Our staff is very complimentary of the customer service there, as well as the response time. We are happy with MIMICS. The Repo system we use has been very stable and customer support is readily available if needed. Software is very customizable, allowing us address needs and changes as they arise. The method used prior to MIMICS' installation in 2004 was a manual ledger. I'd say 100% increase in efficiency! After working with MIMICS for over 15 years, I can honestly say their customer service is above and beyond expectations. Whether working on an upgrade to an existing product or requesting an additional service, the response time is exceptional. The staff is always pleasant and accessible! [MIMICS Item Collections system is] a top-of-the-line domestic item collections software that we not only use for form printing, but also to balance to our general ledger account…we are very pleased with the quality of the product and the service we receive. Since 2004, the Central Bank of The Bahamas has engaged MIMICS to develop several solutions to automate the processing of dormant accounts, to integrate cash management activities with straight-through processing capabilities, and to provide bondholder accounting for its registrar activities. Through the automation of these activities, the bank has achieved greater efficiency in its operations, with the desired audit trails. The Bank is pleased with the quality of service support delivered by MIMICS and its demonstrated commitment to ongoing product enhancement in a cost-effective manner. Saves on time both tracking collections and paying collections. It takes me about 5 minutes every time it is used, compared to 30 to 1 hour-plus by hand. The system is very efficient for our daily use. It functions exactly the way we need it to. The Repo software completely automates the pledging of securities to our sweep customers and communicates to these customers their daily positions. Born of the simple idea that your software should do exactly what you need it to do, MIMICS has been making customized financial software solutions since 1976. We craft systems that interface seamlessly with one another as well as with third-party programs to make your business operations run at optimum efficiency. Dedicated to customer satisfaction, we offer remote or on-site installations, trainings and outstanding people support. We are a company built on ingenuity and fueled by possibilities. We appreciate that without our customers, we would never have made it this far, and we will never take them for granted now or in the future. Ensuring that our customers are always well taken care of is a founding principle of this company, and we will continue always with a customer-first state of mind. We are one, not many. We work hard to create a workplace that encourages inclusion, collaboration, respect and open communication. We have fun together. We listen to one another. We work hard, but maintain a good work-life balance. We always treat ourselves and customers with respect, and have no tolerance for intolerance or discrimination in any form. We support, we help, we drive one another to succeed. We strive to be leaders of the financial software industry. To us, this means thinking ahead, challenging and pushing ourselves to be better, to do more. Asking questions like ‘How can we make this better for our customers?’ Trying new things and taking chances. We don’t want to keep up with technology, we want technology to follow our lead. We want our actions to match up with our core beliefs on a daily basis. We also understand the many facets of integrity, from product design, to delivering customer satisfaction as promised, to acting financially responsible. Our reputation has been built on integrity, and we will continue to bolster it with thoughtful intentions and actions. How can MIMICS help my business? All of our software is fully customizable, and we work with you personally to tailor our programs to meet the individual needs of your business. Our software will save you time and labor and increase your company’s overall efficiency. Why should I choose MIMICS and not Brand X? We have been creating software solutions for our clients for forty years now, continuously evolving to meet the demands of an ever-changing technoscape. We offer more functionality and customizations than our competitors, at a competitive price. And our product support and customer service are second-to-none. I’m worried about my data being compromised. What kind of security does MIMICS offer? We appreciate that our clients often work daily with sensitive information, and the privacy and security of your data is our top priority. We offer SSL (Secure Sockets Layer) and a highly-encrypted database that exceeds industry standards. Also, vulnerable data such as Tax IDs and SSNs are only hosted locally and NEVER reach our database. I’m not very tech-savvy. How easy is the software to use? We design our products with our customers in mind, making sure they are user-friendly and intuitive. We also full give full tutorials at installation, and our customer service team is always available to help. I see that you are U.S.-based. I live in _________. Can your software work within my nation’s laws and regulations? Yes! We have clients all over the world, and we can customize any of our programs to be in full compliance of local statutes. Due to the customizable features, it is virtually impossible to say until we have a better idea of what your needs are. Of course we are more than happy to provide free detailed quotes once we have more information. Annual maintenance fees, as a rule of thumb, are approximately 15-20% of the license fees. Please contact sales@emimics.com or fill out our contact card on the site. How long before I can use the new software? This will vary depending on the programs commissioned, the data conversion, specified customizations, interfacing and accounting specifications unique to you. After we have a good idea of what you want, we can give you a more specific quote, but the average is around 60 days. Can I see a demonstration of how it works? Absolutely! We offer live online demonstrations via Webex, and can schedule one at your convenience. We also offer on-site demonstrations at any of our offices, and remote demonstrations if you prefer. For any one of these options, please fill out our online contact card, or email us directly at sales@ememics.com. I read the testimonials, but could I contact a client directly if I have specific questions? Of course! Due to the variety of specific arenas we operate in, we would just want to make sure we have enough information so that we can put you in touch with an appropriate client. Please contact our sales team at sales@emimics.com to facilitate. I like what I see. So how do I get started? Great! You can contact us in whichever manner is most comfortable for you. We would just like some initial information as to your specific needs and goals, and we can go from there. You can contact us via phone, email, or simply fill out the contact card here on our site and we will be in touch shortly. We’d love to show you how our software can help you in action. Demonstrations can be tailored to scenarios of your choosing with specifications unique to your needs. They are done online, recorded for your reference, and take about 1 hour. Contact us to set one up today! Copyright © 2019 MIMICS, Inc. All Rights Reserved.